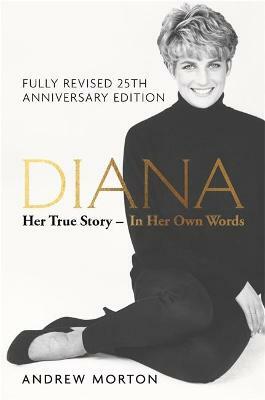 A reissue of this classic title with a new introduction by Andrew Morton reflecting on the extraordinary circumstances surrounding the original publication, and on the long term legacy of Diana, the woman who helped reinvigorate the royal family, giving it a more emotional, human... read full description below. A reissue of this classic title brought up to date and with a new introduction by Andrew Morton. Reflecting on the extraordinary circumstances surrounding the original publication, and on the long-term legacy of Diana, the woman who helped reinvigorate the royal family, giving it a more emotional, human face, and thus helping it move forward into the 21st century. Andrew Morton is one of the world's best-known biographers and a leading authority on modern celebrity as well as royalty. His ground-breaking 1992 biography revealed the secret world of Diana, Princess of Wales. Written with her full, though then secret, cooperation, the book changed the way the world looked at the British royal family. Since Diana: Her True Story, he has gone on to write Number 1 Sunday Times and New York Times bestsellers on Monica Lewinsky, Madonna, David and Victoria Beckham, Tom Cruise, Angelina Jolie, and, most recently, 17 Carnations: The Windsors, The Nazis and The Cover-Up. The winner of numerous awards, he divides his time between London and Manhattan.